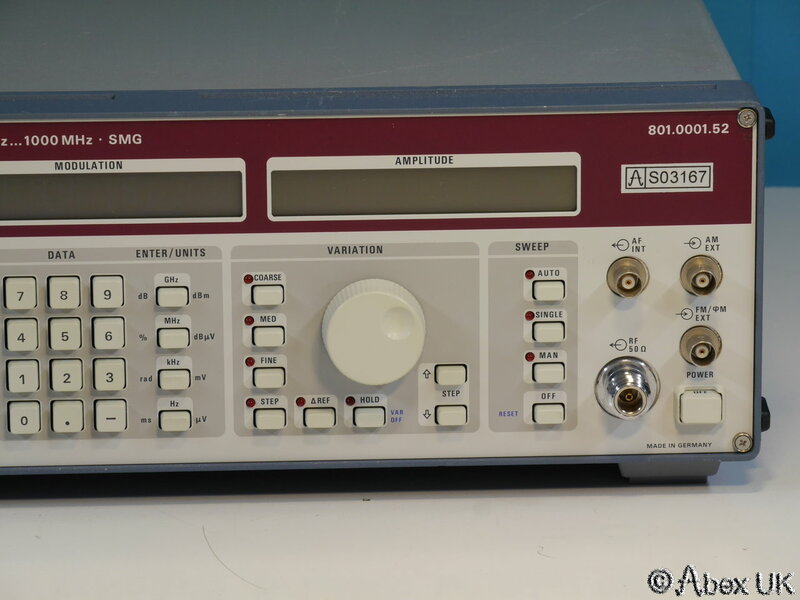 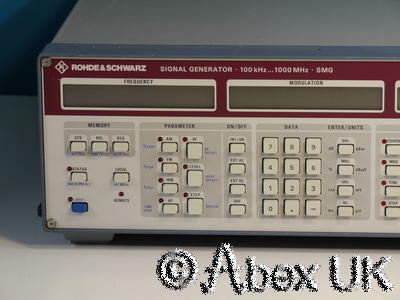 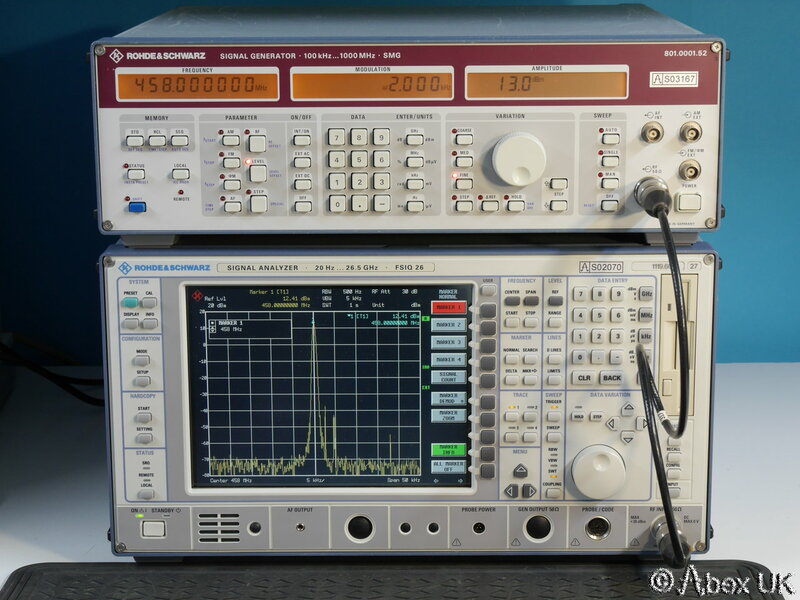 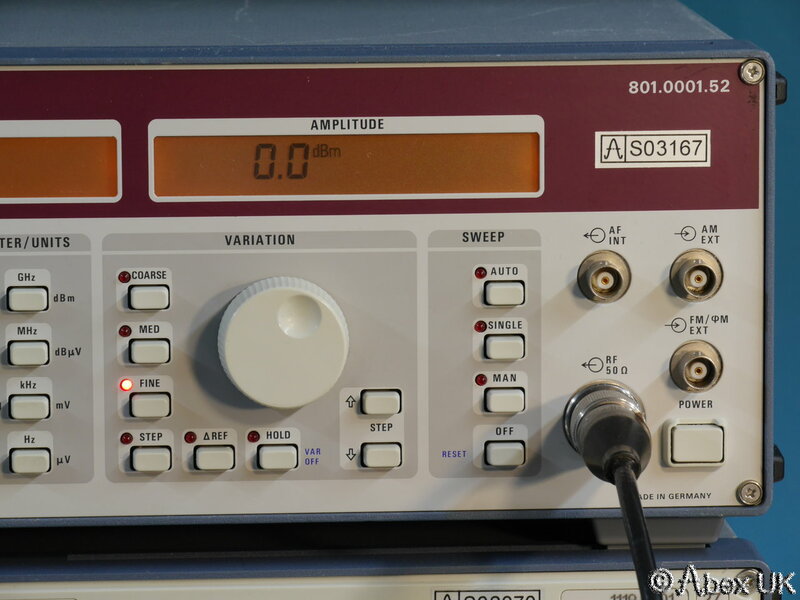 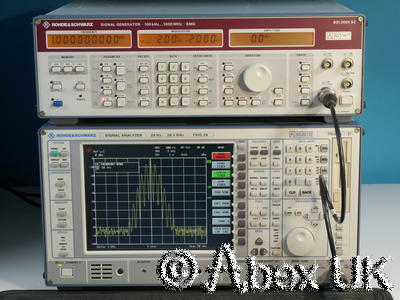 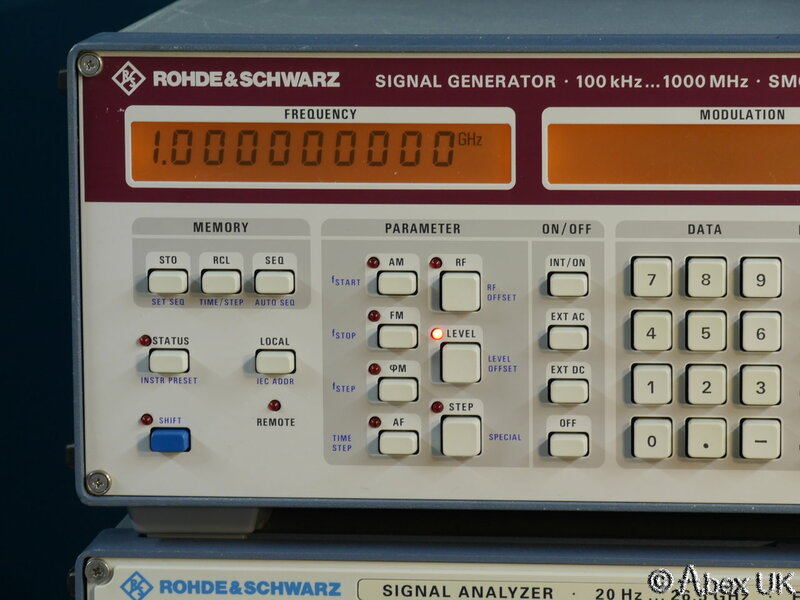 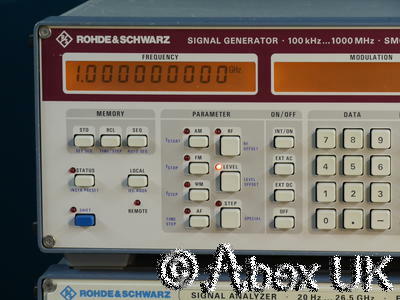 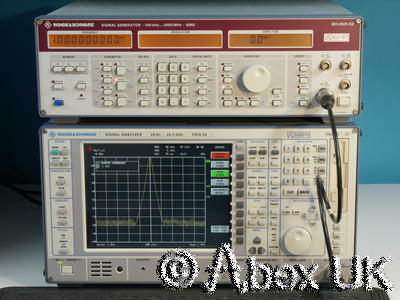 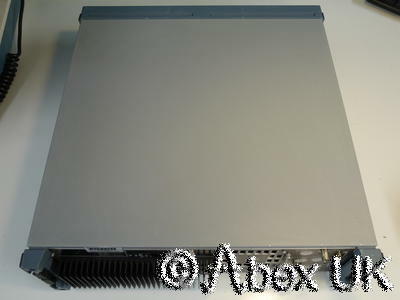 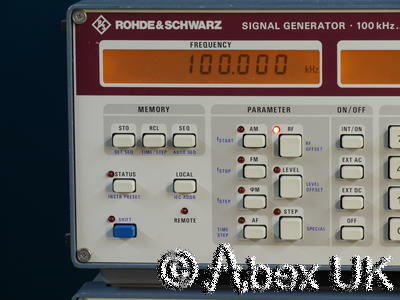 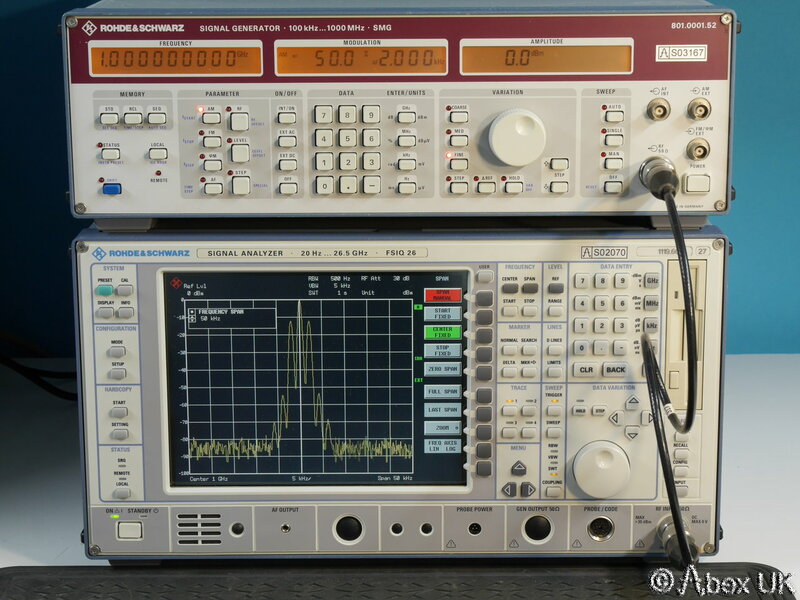 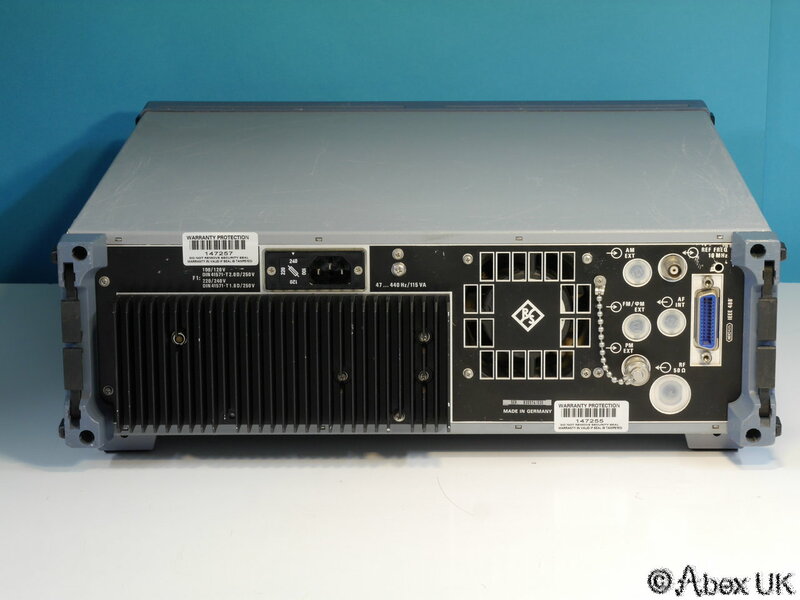 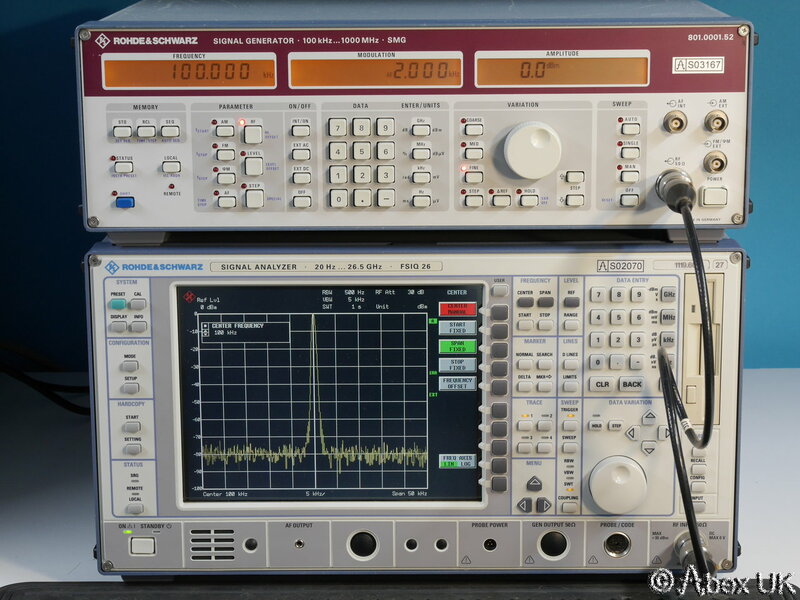 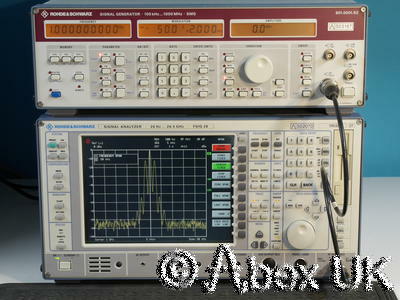 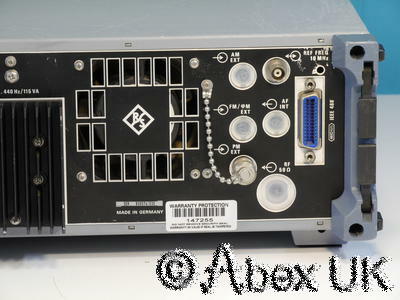 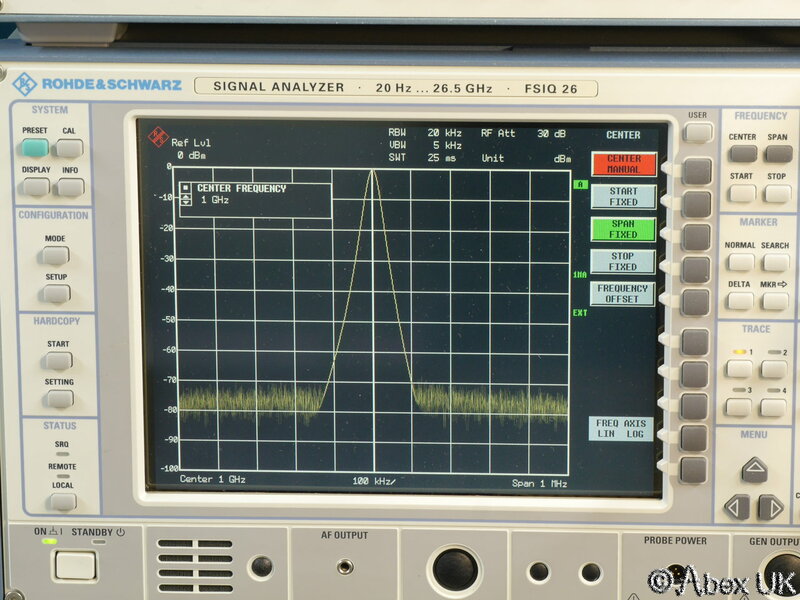 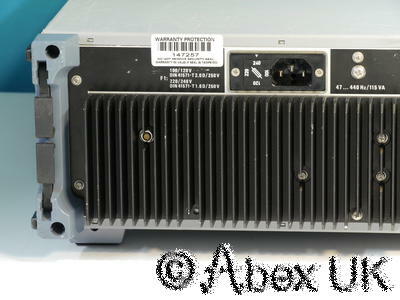 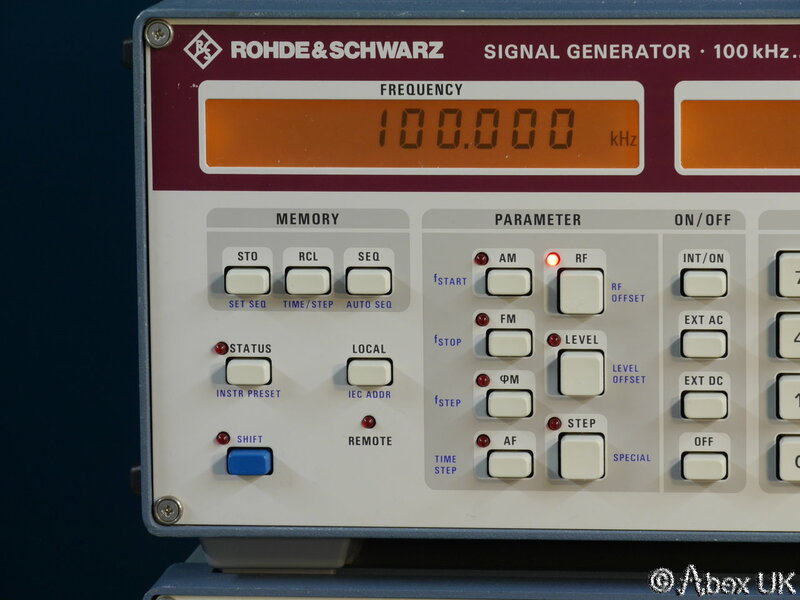 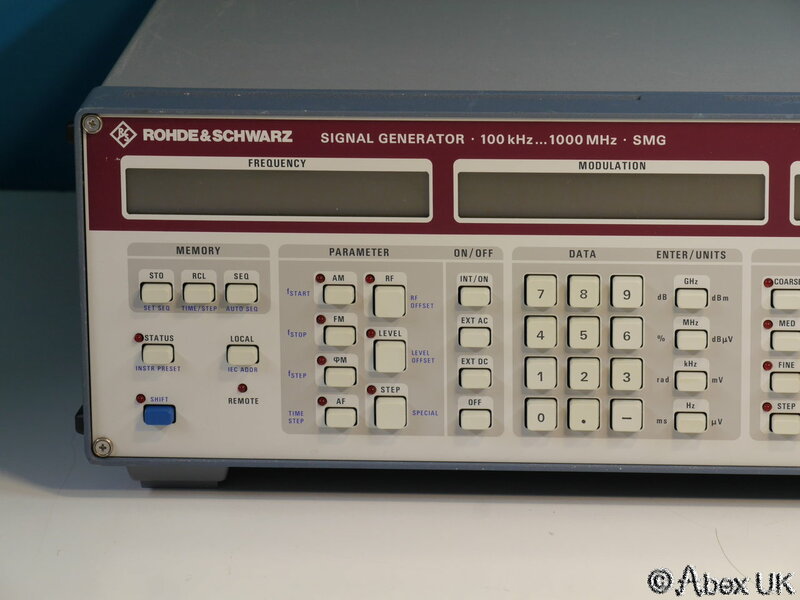 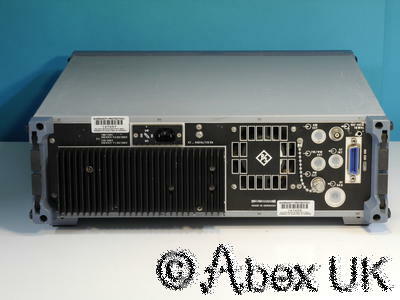 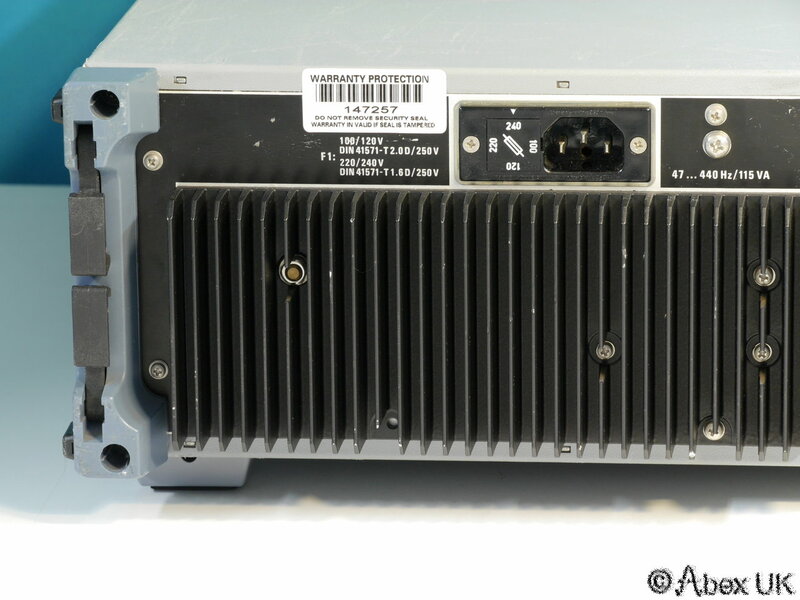 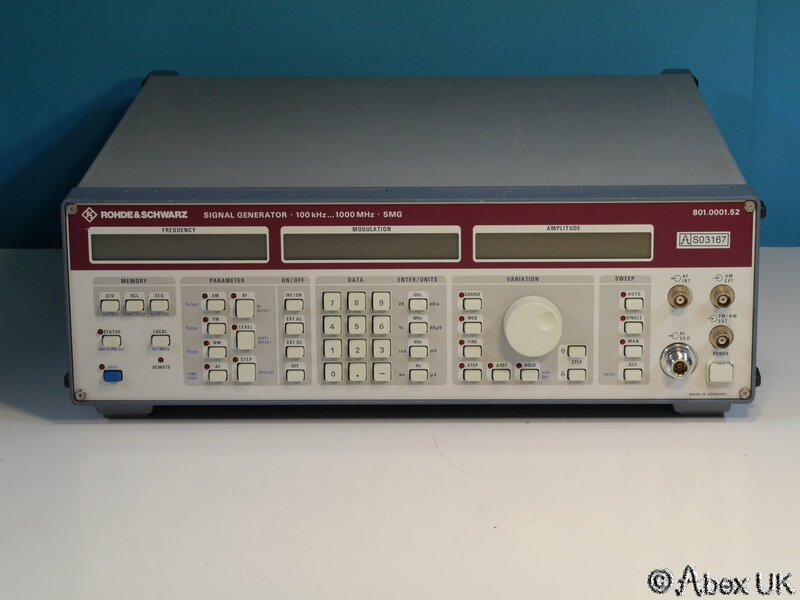 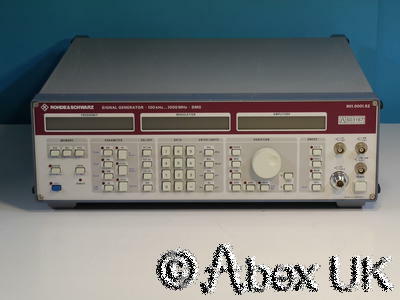 The Rohde & Schwarz SMG is a low noise high performance signal generator covering 0.1-1000MHz, with AM, FM, and PM modulation by internal or external sources. 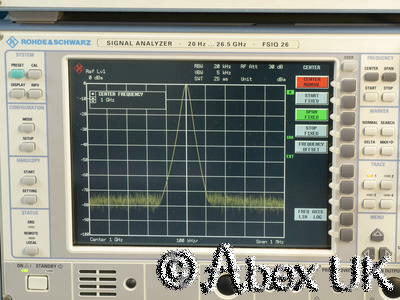 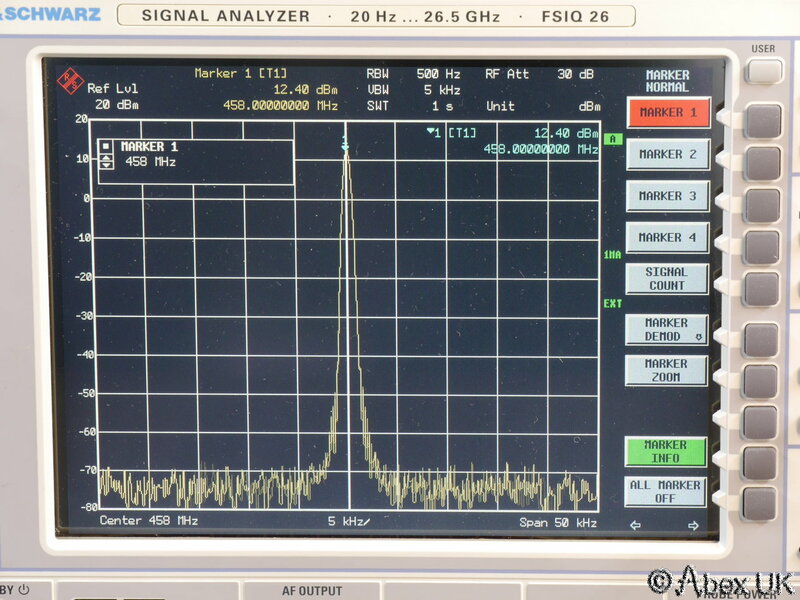 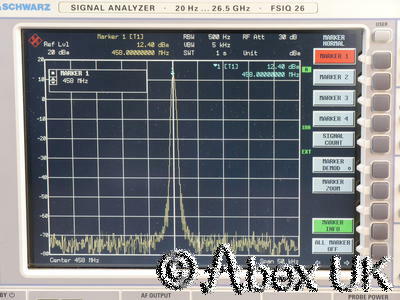 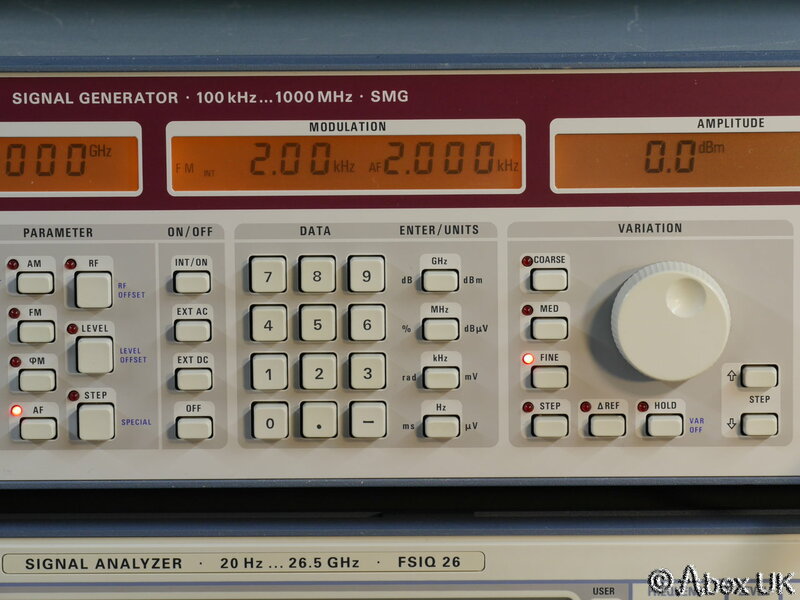 The RF frequency may be swept. 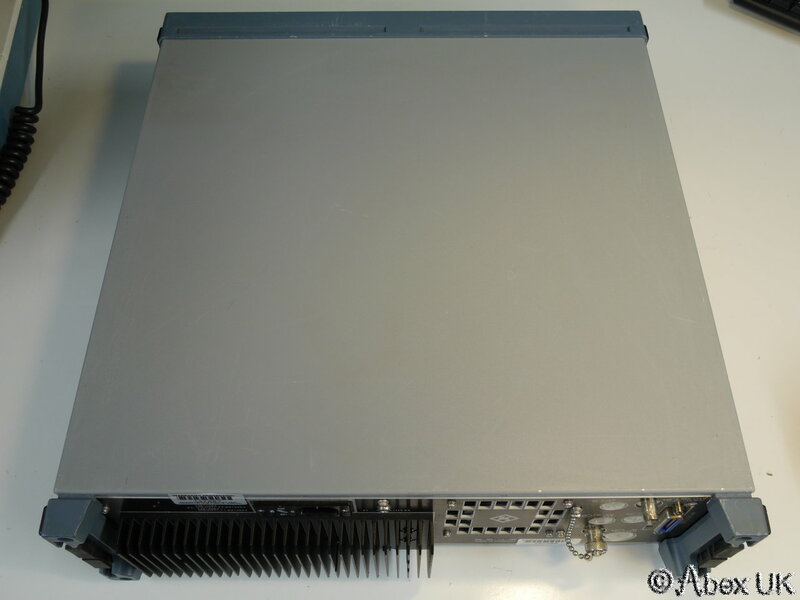 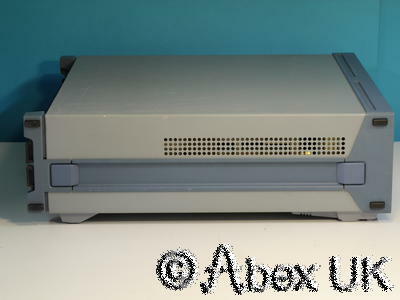 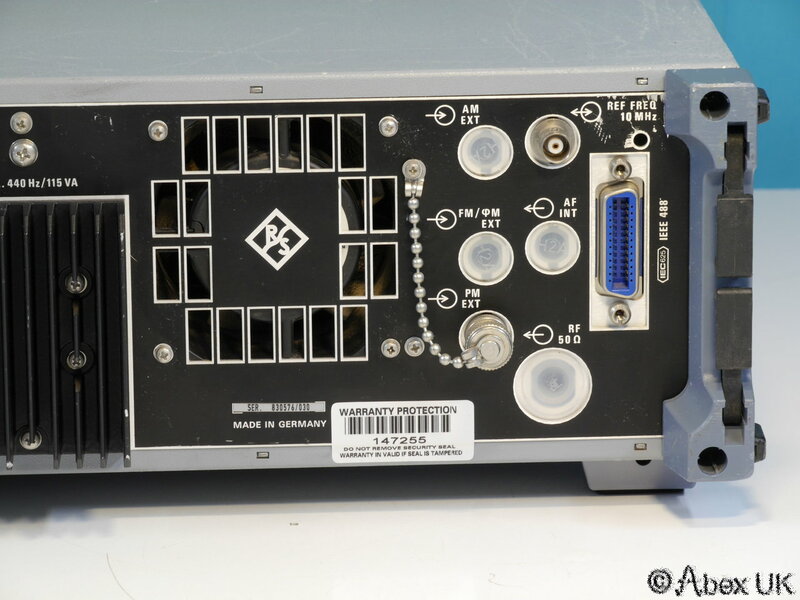 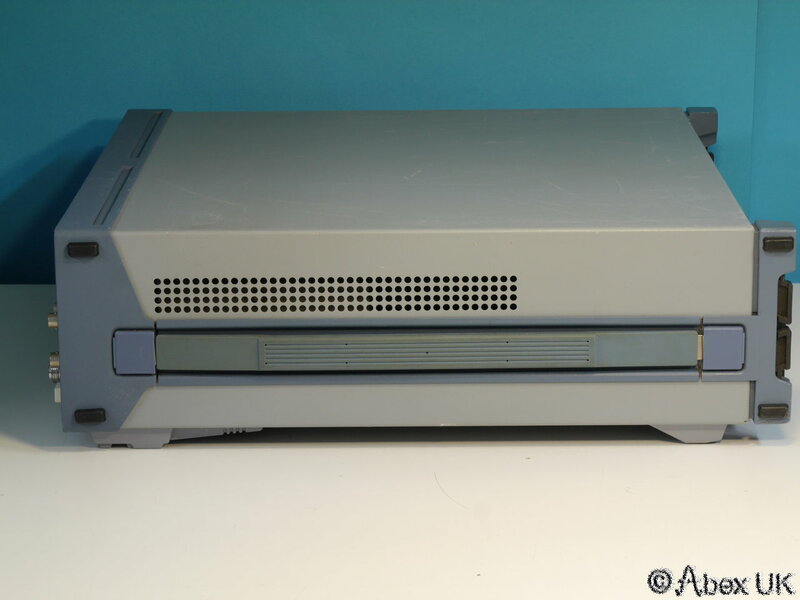 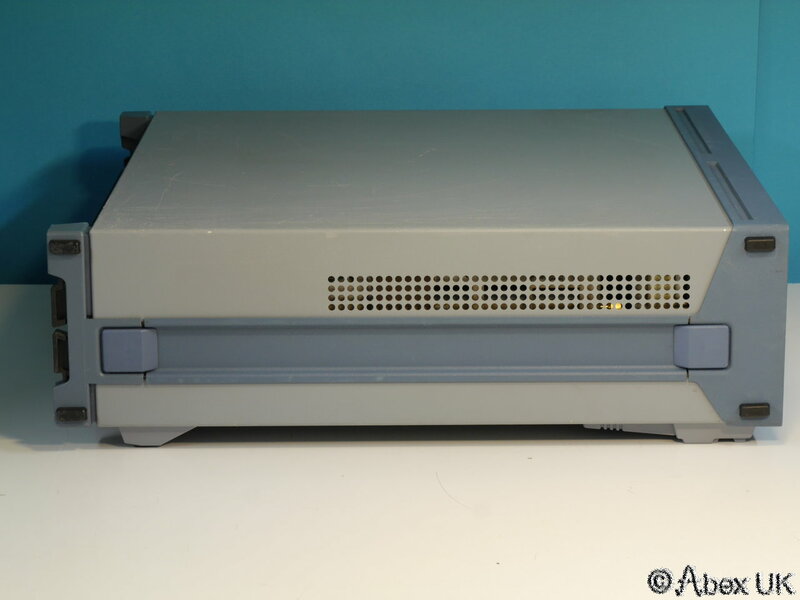 The GPIB interface allows full remote programming for ATE applications. 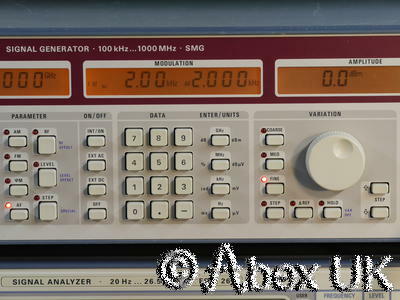 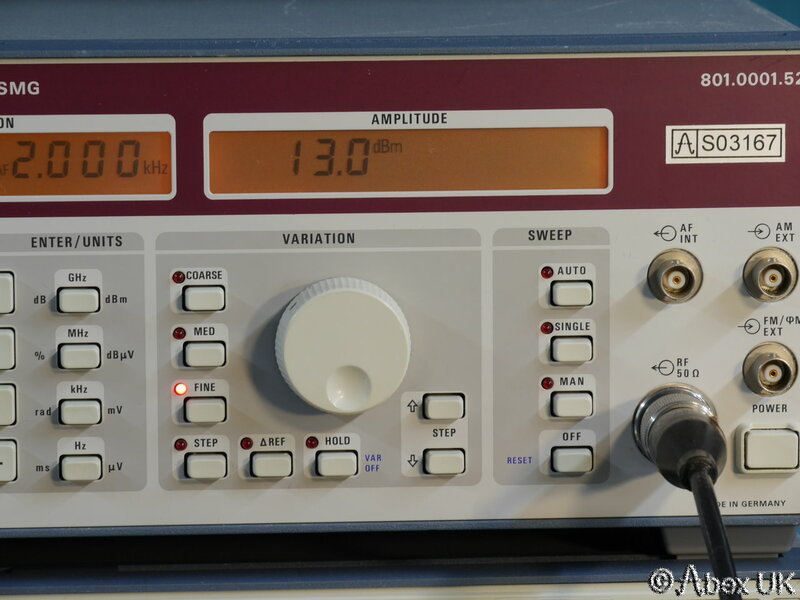 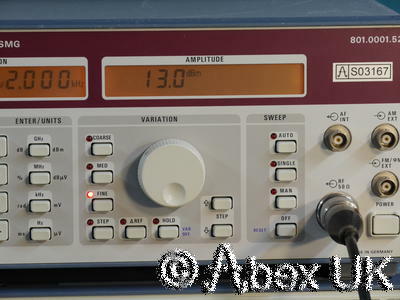 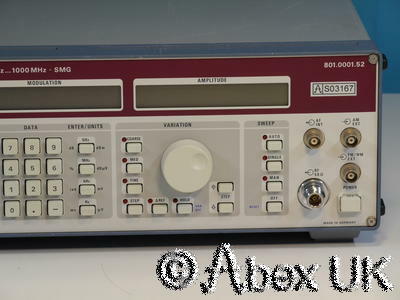 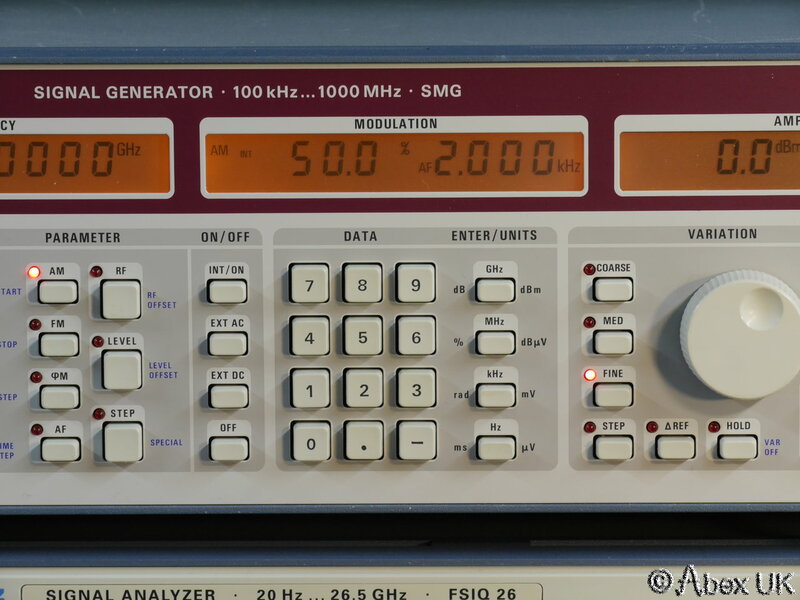 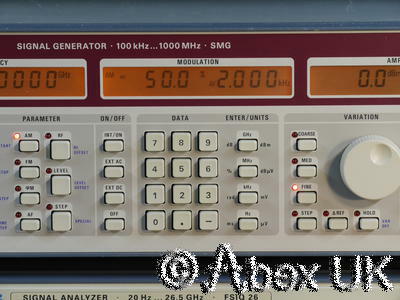 A very nice signal generator. 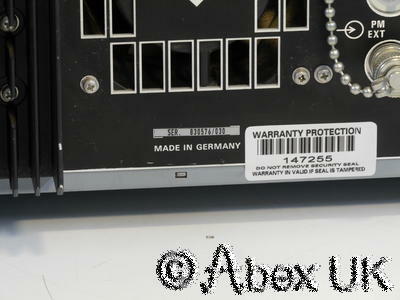 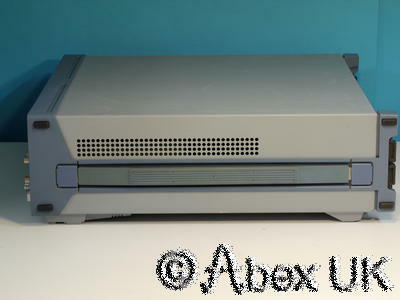 The front panel is in good cosmetic condition, the rest of the case is OK but does have a few scrapes as shown below. 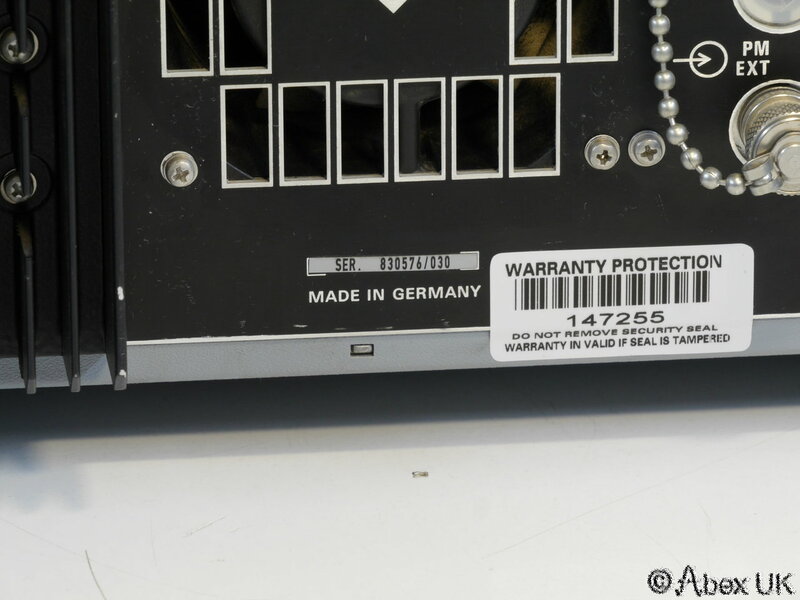 The original feet are present.